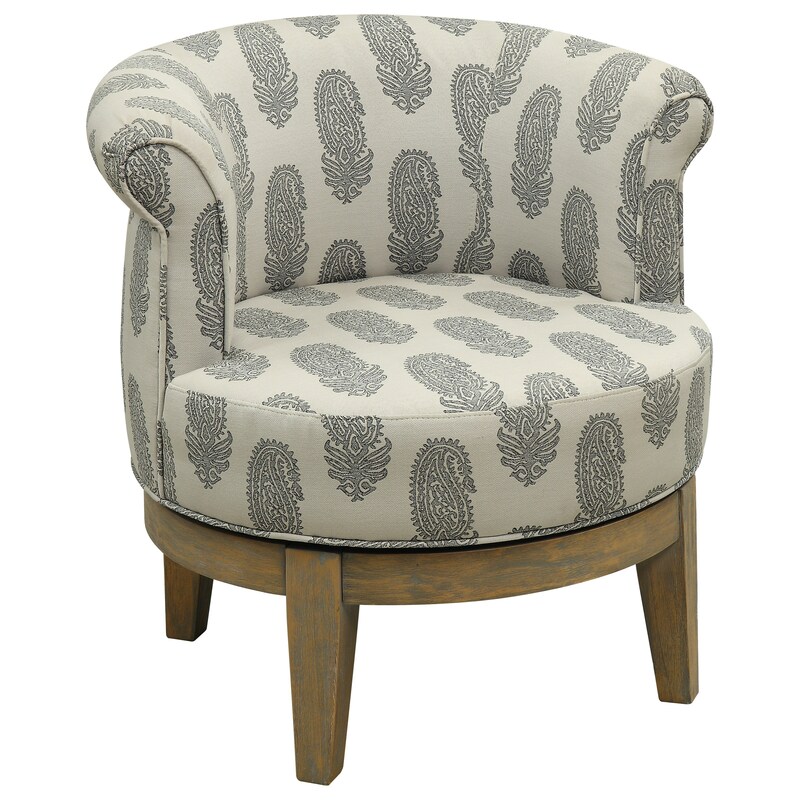 Surround yourself with comfort in this barrel shaped accent chair. The Beachum Distressed wire brushed solid wood frame pairs nicely with the grey paisley fabric. The base swivels to allow you to easily shift your attention from right to left as conversation ebbs and flows around you. The Ruby-Gordon Accents Swivel Accent Chair at Ruby Gordon Home in the Rochester, Henrietta, Greece, Monroe County, New York area. Product availability may vary. Contact us for the most current availability on this product.